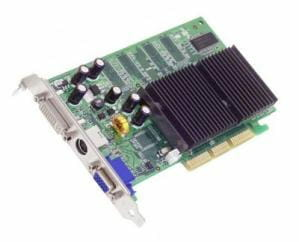 Driver GeForce FX 5200 is a driver especially designed for users of GeForce FX 5200 graphic card. It allows properly displaying games as well as enhancing video rendering. Compatibility: the software's main function is to properly install the graphic card on the PC. Indeed, the installation of this driver allows the PC to recognize the device. The latter will be used with different applications which require its power. Resolution enhancement: Driver GeForce FX 5200 offers the ability to improve the screen resolution up to 2048×1536. It also supports resolutions up to 1024x768 for the NTSC/PAL TV encoder. In addition to that, it permits obtaining better 3D rendering. Versatility: this driver allows the user to use his graphic card regardless of the Bit system. However, the original system is 128 bits but it is also possible to use it in 64 as well as 32 bits system. Driver GeForce FX 5200 allows properly displaying shadow effects. This driver can be used and downloaded for free. Latest update on March 11, 2015 at 09:12 AM.